TORONTO, August 14, 2017 – Melitta Canada, a household name in exceptional coffee preparation, today announced the launch of its Signature Series Pour-Over™ coffeemakers designed for customers who prefer a hand crafted cup of coffee in the comfort of their own home. The new Signature Series Pour-Over™ coffeemakers will make their debut during the Toronto Gift Fair, the largest trade fair in Canada, taking place Aug 13-16, 2017 at the International Centre & Toronto Congress Centre in downtown Toronto. Melitta’s new Signature Series Pour-Over™ coffeemakers will be on display at exhibitor booth #7172 during the fair. The Melitta brand entered Canada in 1960 as the first European brand in Canada having spent more than 100 years carefully crafting the home brewed coffee. Melitta Bentz, the brand’s innovative founder, revolutionized the world of coffee in 1908 when she took a brass pot from her kitchen, punched holes in it and used a piece of paper from her son’s notebook to create the very first Pour-Over™ — the precursor to the modern day Pour-Over™. 1. 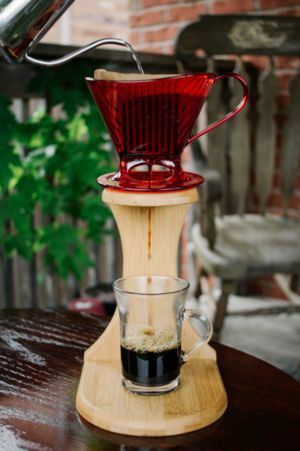 Place the Melitta Pour-Over™ cone on top of your favorite mug and insert Melitta paper filter. 2. Scoop in your favorite fresh-ground coffee to taste. 3. Pour hot water (just off the boil) into the cone, fully saturating all the grounds. Then sip, smile and enjoy the pure flavor of handcrafted coffee. All of Melitta’s Signature Series Pour-Over™ coffeemakers feature a functional design optimized to ensure consistent brewing results. Two viewing windows provide visibility into the mug preventing unnecessary messes. The Melitta Pour-Over™ line will have a starting MSRP of $21.99 in Canada and will be available beginning late 2017. Melitta Canada, headquartered in Toronto, Ontario, is part of Melitta North America. As Melitta’s first overseas subsidiary, Melitta Canada is an operating division of the privately held Melitta Group of Minden, Germany. 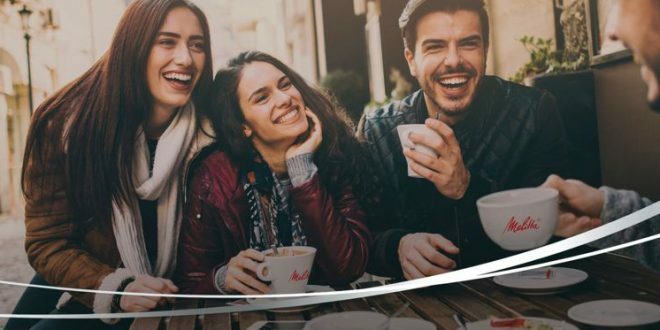 For more than 100 years, Melitta has dedicated itself to providing the ultimate coffee experience with its premium line of coffee, coffee filters and high quality coffeemakers, bringing European indulgence to life. The company was founded in 1908 by Melitta Bentz, after receiving a patent for her coffee filtering system consisting of a filter and filtration paper. The filter system was the first to successfully remove coffee residue in the brewing process, revolutionizing the way coffee was made. Previous THEOBROMA Chocolat team continues to grow!